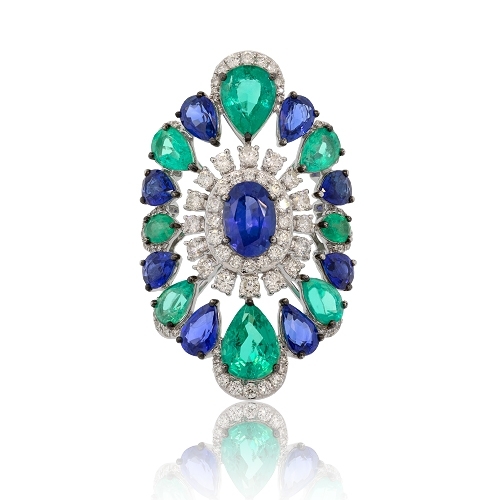 Sutra designed oval-shaped ring with blue sapphires, emeralds, and diamonds. Diamonds approx. 1.21ct. Ring size 7.